I am going briefly atone for all of the times I have disparaged my smart phone (generally for being to slow with internet connection). It permits me to write Music Court posts on the train going to work, and I must thank it for that. It has been a busy last few days for all Music Court writers. Since Thanksgiving break is right around the corner, this is unsurprising. Trust me. If I could, I would write more and more. Luckily, Peepirate and Okocim have been able to provide cogent posts on a consistent basis. I am thankful for that. They say a picture is worth a thousand words. 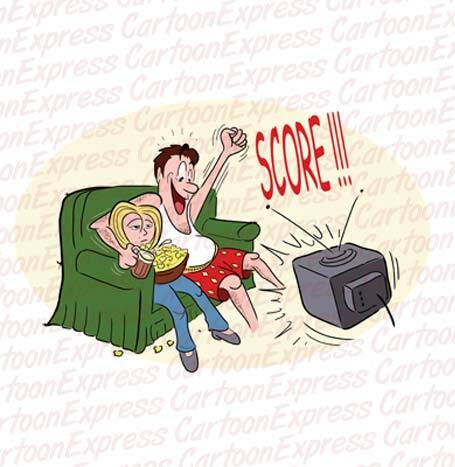 Well, this photo perfectly portrays my usual Fall Sunday. And, yes, while I do enjoy watching my fair share of football (fantasy football implications), because of the mediocre play of the NY Jets (and the fact that they rarely play on Sunday afternoons it seems), the entire act has become slightly trite. That’s why it was enjoyable to change it up this past Sunday. Rebecca (my girlfriend) and I visited my stressed first year medschool buddy Josh and his girlfriend Amanda (both of Music Court fame) in Greenwich village. It was a rare opportunity to see the duo, what with Amanda still in her senior year at Binghamton and Josh buried up to his neck in medical terms and practices. Our city pursuit? The Ron Pope concert at Dominion on Lafeyette. I love small bar/venues. There is a cozy intimacy that spawns from the dim-lit bar, low cushioned seats, and open concert floor. It is particularly exquisite when the space is not cramped. Luckily, the venue took on this well balanced flavor on Sunday night, and, because of space, the sound remained vibrant and decently mixed through the night. If it wasn’t for some dude consistently ripping violent, odorous, mexican-food farts throughout our stay, the venue would have only taken on the aroma of yeast, hops, and cologne, like that of an uppity bar, and that would have been just fine. Ron Pope came on after two singer/songwriter opening acts. But while these acts filled the same broad genre, it is important to cite their differences. Let me premise this opening act review by assuring you that they are both worth a listen. Alexis Babini does not like being compared with John Mayer. At least that’s what he told the Dominion crowd in the middle of his setlist. An iTunes review labeled him as a Mayer-like artist. Don’t worry, Mr. Babini. I have no intention of comparing you to John Mayer. I actually think that label is wrong. Babini, a 24-year-old musician from New York, fits comfortably into the singer-songwriter genre, yes, and while that can make him like Mayer, his distinct pleasant vocal and acoustic flavoring, makes him different. This song implanted itself in my mind for later usage. Before I began writing this post, I found myself humming the chorus. That’s an excellent thing that Babini has going for him. His music is infectious. This is similar to his co-opening act who I will look at…now! 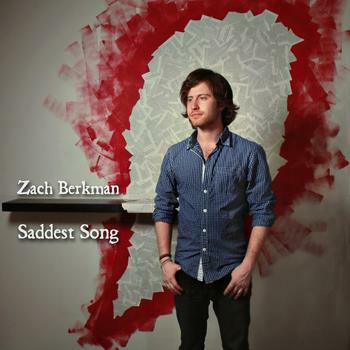 Zach Berkman fits a different singer-songwriter profile than Babini. His voice is different and his rhythms more staccato. 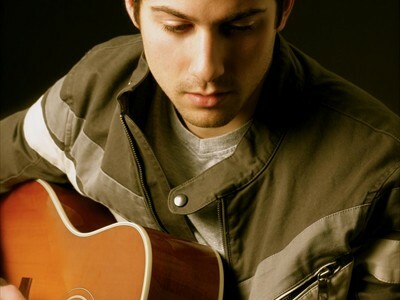 He too plays melodious, radio-ready pieces, and he is also guitar/piano proficient. Berkman’s creativity oozed through his set-list. His riffs were original and neat and his acoustic sound resonated. 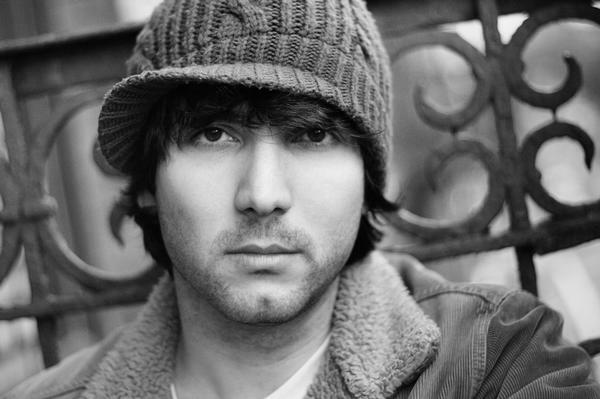 Like Babini, Berkman, originally of Illinois, has had his songs used by TV shows (no surprise for both as they play excellent teenager-friendly, drama, television music). His strength, as displayed in the song above, is his powerful voice, high, but also expressing a full range. While I had little difficulty placing Babini’s sultry voice, I had to search through my brain to think of a comparison for Berkman. I thought of two, one during, and one after the show. Berkman has a twang to his voice like Brett Dennen, but a true similarity, especially with the above song, to Eric Hutchinson (listen to “Okay, It’s Alright With Me”). While Hutchinson has more of Michael Buble’s rat-pack croon, I feel that Berkman can fit into this category. And, I believe he is most effective there. “Hero” is an excellent song. We move on to the headliner, Ron Pope. Pope, originally of the Greenwich village scene, is a consummate musician, one who maintains the rare ability to musically multitask. Pope can sing a delicate, heartfelt ballad, and then rip out a guitar solo (like he did with a mid-show “Little Wing” tribute – see below) just to keep you honest. I both enjoy and respect musicians who have this ability. Pope, who hid his face behind what looked like a no-shave-for-November bushy beard, played an excellent show that displayed these varieties of style. His pop/blues superiority was respected by a crowd of around 50-100 that sang along with his lyric and gyrated with his guitar. I went into this show not knowing much about Pope. Amanda and Josh both enoy his music and I first heard of him when Josh played me a song or two several months ago. I enjoy going into concerts with no expectations. If I do not know what a person sounds like, I can make an unbiased judgment on their music. I must say I was quite impressed by the five-piece band. They balanced the variety quite well. “A Drop in the Ocean,” which was co-written by Zach Berkman, was one of the most popular songs of the night, and it demonstrates Pope’s intimate side. The song is a slow, powerful ballad, that is carried by his voice. Without Pope’s croon, the song could easily fall into the hackneyed category. But it rides the line well and remains an enjoyable and authentic piece. Yeah, he can also rock the hell out. If I take away anything from his performance it will be an envy of his rock diversity. It is impressive and wonderfully executed. Pope had Berkman and Babini join him on stage (as well as some other friends) for a joint performance of Neil Young’s “Hopeless” to conclude the show. The resulting sing along was tasteful and wonderfully loud. There was a smile on the faces of everyone on stage, especially a grinning Pope, who soared high above everyone standing on a piano stool, screaming “Helpless” at the top of his lungs with the appreciative crowd. All are interesting. Will have to look all of them up and do some studying. Pope, at first listen kind of reminds me of Justin Nozuika (spelling?). Good stuff. Nozuka is an excellent singer. Good comparison. Definitely was a fun concert to attend, especially since I didn’t know what to expect.